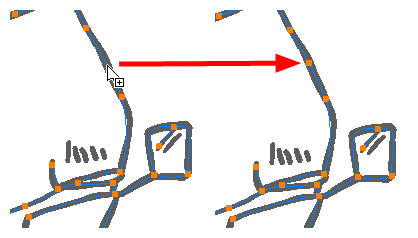 You can use the Centerline Editor tool to reshape brush strokes from their center line rather than their contour, like you would reshape pencil lines using the Contour Editor. 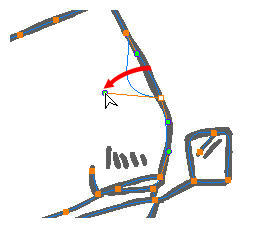 In the Tools toolbar, double-click on the Contour Editor button and select the Centerline Editor tool, or press Alt + W.
In the Drawing or Camera view, click the contour or pencil line you want to edit near the area you wish to change. 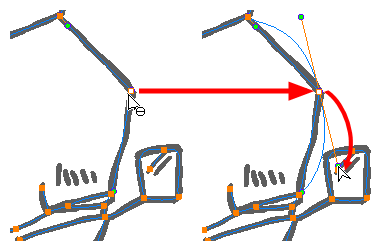 The Centerline Editor creates a center line manipulator based on the outline's shape, with control points. 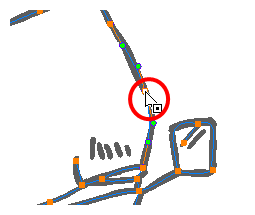 TIPYou can select several points by drawing a lasso around the points, or by holding Shift while clicking on points to add them to your selection. 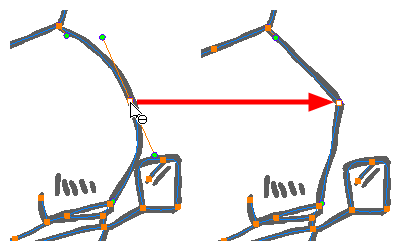 You can use the Contour Editor to scale and rotate a selection of multiple points by enabling the Show Centerline Editor Control option in the Tool Properties view. 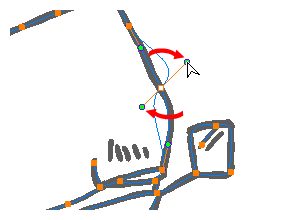 Straight lines have no Bezier handles at their points by default. 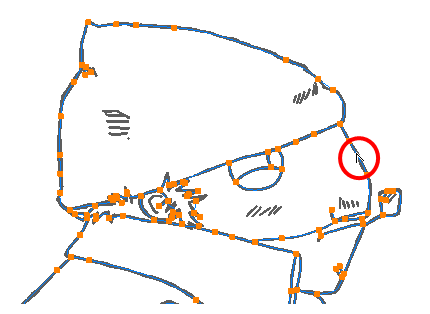 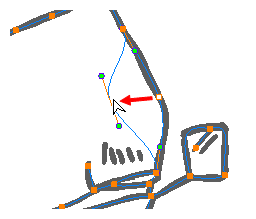 To create Bezier handles for these points and make their lines curved, press and hold the Alt key, then click and hold the point and drag the mouse cursor away from it. 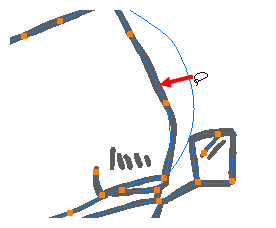 A new Bezier handle will follow your mouse cursor until you release the mouse button.